In health, especially in hospital and in public health surveillance, researchers generate data which is serial in nature (collected over time). Traditionally, time series models such as ARIMA models have been used to analyze such data. Seasonality is the inherent characteristics of most of these kinds of data which needs careful attention in modeling. Numbers of regression techniques are also evolved to handle serially dependent data based on their structure and our objectives. In addition, Segmented Regression can also be used to assess the effect of intervention before and after the implementation of health policies in such kind of data. This course will enable the participants to understand the basic concepts of time series analyses with working examples of available datasets using R and SPSS softwares. 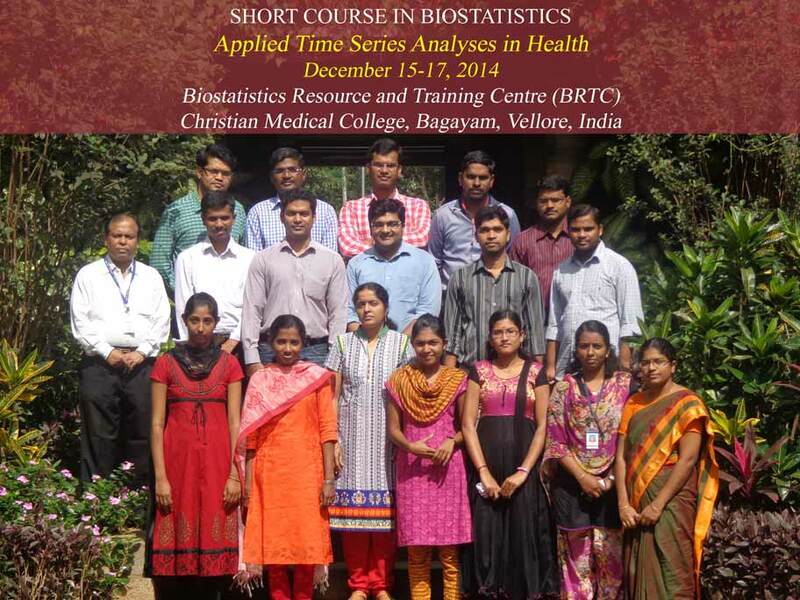 This course is useful for Biostatisticians, Statisticians, Epidemiologists, Physicians those who are working on serial data in health services.